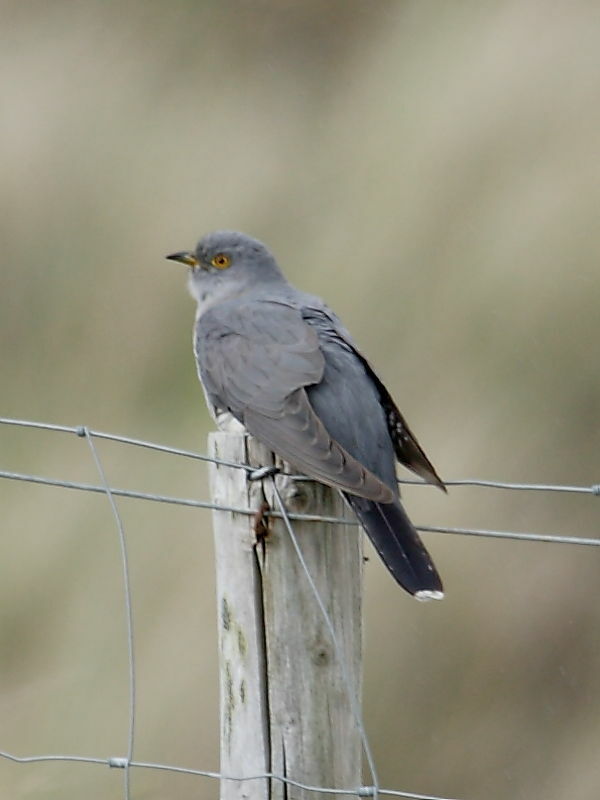 The BTO have released an update on the progress of the Cuckoos they have been tracking during their migration from the UK to their over-wintering sites in Africa. Five birds (Martin, Chris, Kasper, Lyster and Clement) were fitted with satellite tracking devices last year and were featured during BBC Autumnwatch as they made their way south to Africa. Now, two of the four birds, Chris and Martin, have reached Europe on their return migration and Kasper is not far behind in Algeria. Sadly, there have been no further transmission signals received from Lyster since the 1st of April when he was in Ivory Coast / Ghana. The death of Clement was reported earlier in the year with his last recorded destination being the Cameroon on 25 February. For more on this project visit the BTO site. The photo on the left is from our stock of bird images. It was taken at Penhale Dunes on the north coast of Cornwall in 2011.